Failing to go ahead with the Hinkley Point nuclear project could threaten China's relationship with Britain, its ambassador to the UK has warned. Writing in the Financial Times, Liu Xiaoming said the delay to approving the plant had brought the two countries to a "crucial historical juncture". He hinted that "mutual trust" could be in jeopardy if the UK Government decided not to approve the deal. China is expected to fund about a third of the £18bn project. Last month, the French company EDF, which is financing most of Hinkley Point C in Somerset, decided to go ahead with the project. But in a surprise move the UK government said it wanted until early autumn to review the scheme. 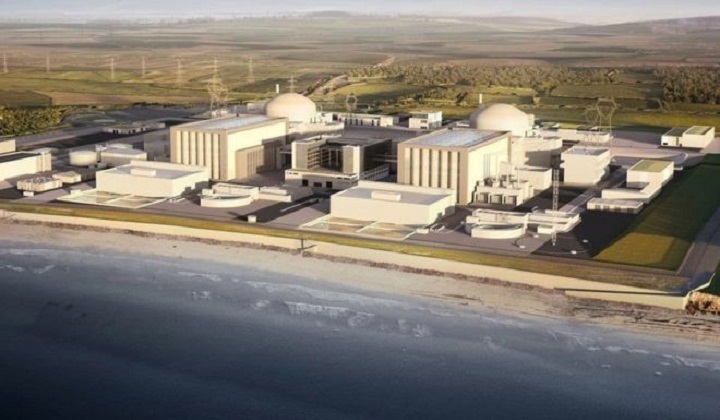 There have been reports that Prime Minister Theresa May's concerns about Chinese involvement in a UK nuclear power station were the primary reason for postponing the deal. Former Business Secretary Sir Vince Cable said that when he was in the Cabinet with the then home secretary, Mrs May had been unhappy with what she regarded as the Cameron government's "gung-ho" approach to doing deals with Beijing. Nick Timothy, Mrs May's chief of staff and a longtime adviser, has also previously expressed concerns about the Hinkley deal. Writing on the Conservativehome website, he said MI5 believed that Chinese intelligence services "continue to work against UK interests at home and abroad". In his opinion piece for the the FT, China's ambassador outlined what he believed were the benefits of a new nuclear power station in the UK and the strength of his country's expertise in the sector. In his conclusion, Mr Liu hailed the trading partnership between the UK and China, but added: "If Britain's openness is a condition for bilateral co-operation, then mutual trust is the very foundation on which this is built. "Right now, the China-UK relationship is at a crucial historical juncture. Mutual trust should be treasured even more. I hope the UK will keep its door open to China and that the British government will continue to support Hinkley Point — and come to a decision as soon as possible so that the project can proceed smoothly."